If I had a dime for every time I saw someone using an LG G5 in public, I doubt I’d have enough cash to get me a bottle of soju. The _phone_ didn’t sell as well as its maker hoped, and even though technically it wasn’t a poorly made device, its modular design didn’t strike a chord with the average consumer. 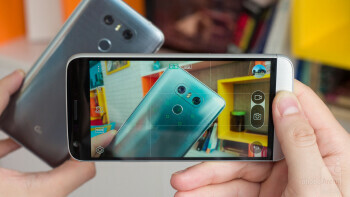 That’s probably why the new and much-refined LG G6 skips on modules entirely, instead focusing on bringing practical improvements that the majority can benefit from – a move in the right direction, I’d say. So, why even bother with this comparison then? Well, because there’s a few very good reasons why a G5 is still worth considering. But design probably isn’t one of these reasons. 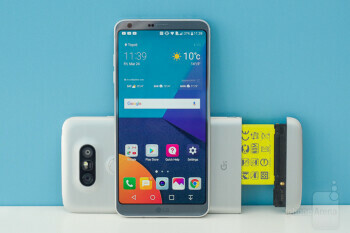 Placed next to the LG G6, the LG G5 does indeed look like a last-generation product, seeing how the newer model makes much better use of the real estate up its front. 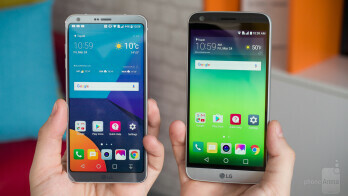 Although the G6’s screen is 0.4 inches larger in diagonal, both handsets have pretty much the same footprint. While looks are a subjective matter, I’m going to go ahead and say that the G6 is the more appealing handset. 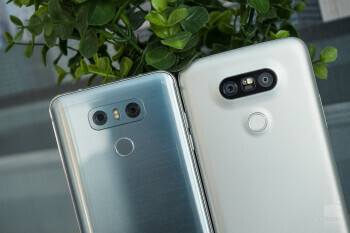 True, there’s already more than enough phones combining a glass back with a metal frame, but the look achieved by LG for its new flagship feels modern and stylish, especially with how the camera hump has been practically eliminated. 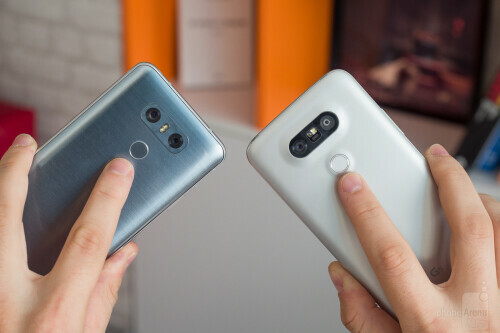 With its silvery surface and contrasting black front, the LG G5 reminds me of Eva from Wall-e, which can’t be a bad thing. Its metal construction means that there’s less glass surfaces that can scratch or crack, while the removable battery is a feature a small fraction of users still demand. But I’ll take the G6’s waterproofing and bigger battery over the ability to swap cells any day. As for the LG G5’s modular design, that’s hardly a selling point right now. Out of the two (yes, two) modules LG released for the _phone_ – a Hi-Fi audio DAC+amp combo and a camera grip with extra battery – only the latter made it to the US, and it’s not like you can’t take awesome photos without its help. 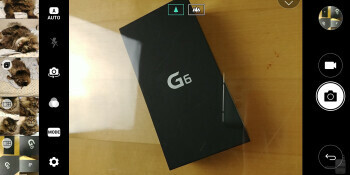 Notice something unusual about the G6’s display? It is special in many ways, and not only with its curved corners. 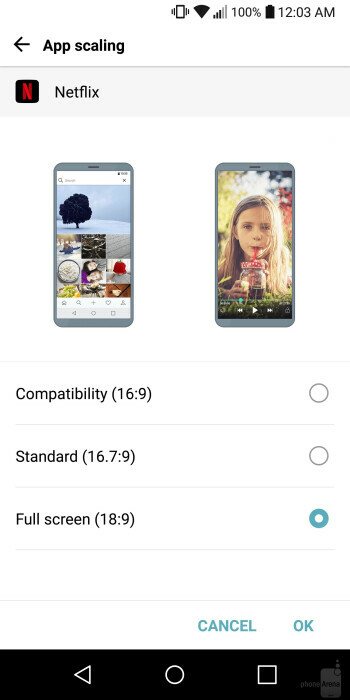 The phone’s so-called FullVision display employs an unusual aspect ratio of 18:9 as opposed to the traditional 16:9 ratio used by most other phones, including the LG G5. 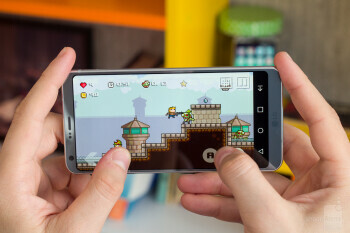 In other words, it is slightly narrower, but also taller than other screens of similar size. 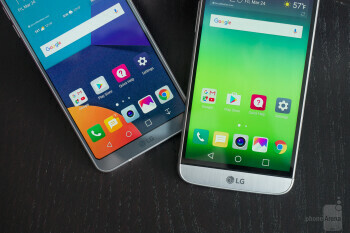 There are several benefits to LG breaking the status quo, the most important of them being that the new display proportions allow the G6 to provide a large display area while remaining easy to operate single-handedly. On the downside, most online video content isn’t optimized for these new proportions, while some apps and games might not be able to fill the screen properly without manual tweaks. That’s why the G5’s traditional 16:9 display is still relevant, and will be for many years to come. On the technical side of things, the two displays are equally sharp and detailed, packing a very similar number of pixels per inch. 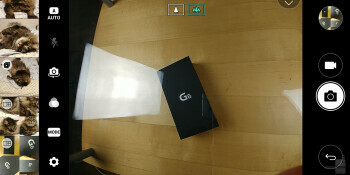 But the G6’s screen has the benefit of being brighter, thus potentially easier to use outdoors. It also has Comfort View – a blue light filtering feature intended to be used at night to reduce the strain on your eyes and mind. The screen is also capable of displaying HDR video content, which is something I’ll cover in depth in the Multimedia section of this comparison. 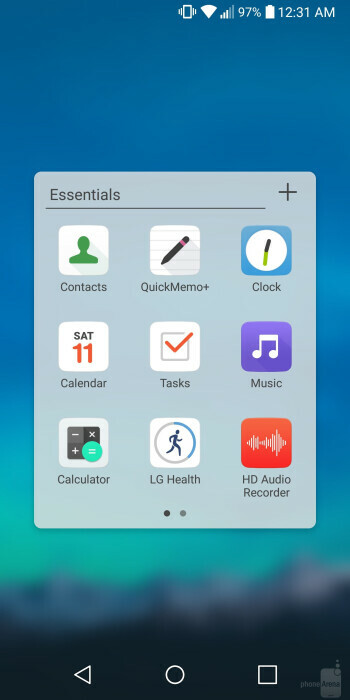 One more thing I have to mention: LG introduced its Always-on Display solution on the LG G5, allowing the time, date, and notification icons to be displayed on the screen even while the phone is in stand-by. 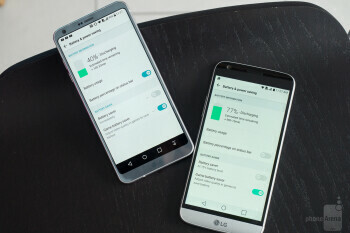 The feature is also present on the LG G6, now displaying information in a larger font for increased legibility, and with the option to increase the maximum brightness. But as convenient as they are, you should also know that both Always-on Display implementations have an impact on battery life, so feel free to turn them off if you’d like to extend that. If I had a dime for every time I saw someone using an LG G5 in public, I doubt I’d have enough cash to get me a bottle of soju. The phone didn’t sell as well as its maker hoped, and even though technically it wasn’t a poorly made device, its modular design didn’t strike a chord with the average consumer. 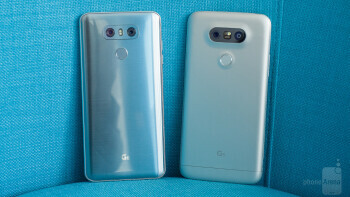 That’s probably why the new and much-refined LG G6 skips on modules entirely, instead focusing on bringing practical improvements that the majority can benefit from – a move in the right direction, I’d say. So, why even bother with this comparison then? Well, because there’s a few very good reasons why a G5 is still worth considering. As for the LG G5’s modular design, that’s hardly a selling point right now. Out of the two (yes, two) modules LG released for the phone – a Hi-Fi audio DAC+amp combo and a camera grip with extra battery – only the latter made it to the US, and it’s not like you can’t take awesome photos without its help. 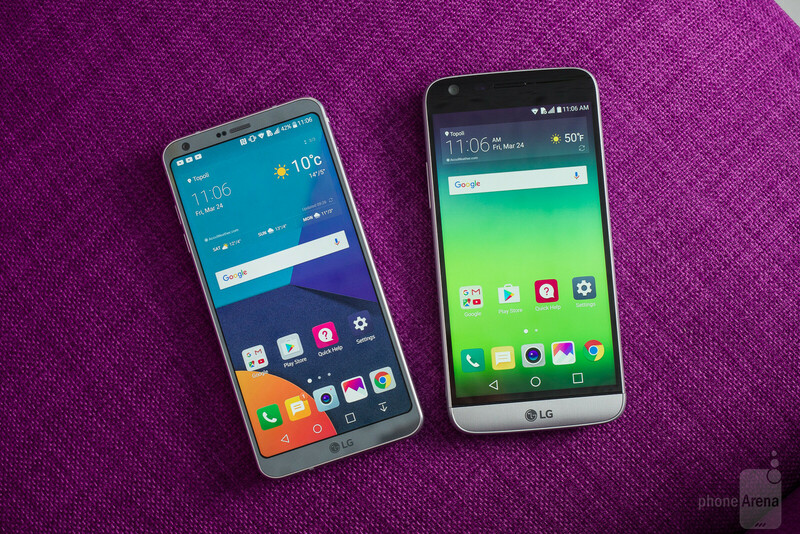 It should come as no surprise that the LG G6 and LG G5 have a lot in common when it comes to software. Both run Android 7.0 Nougat – the former out of the box and the latter after receiving an update not long ago – so neither feels lagging behind in this respect. Both come with Google’s Assistant built right in. 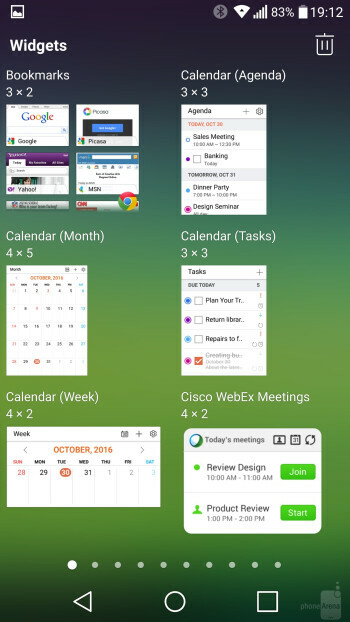 Both skip the app drawer and go for a more iOS-like app organization approach (although you still have the option to bring the drawer back). 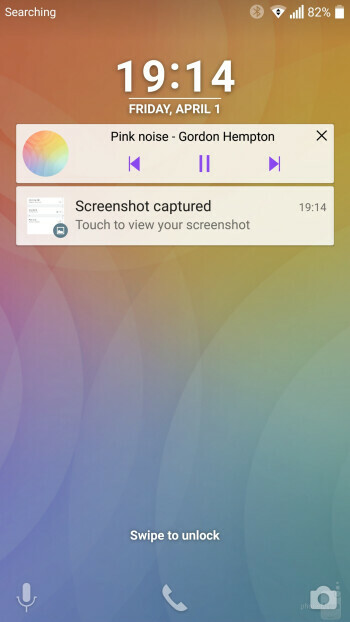 Both let you rearrange the on-screen navigation buttons and add new ones, such as the extremely useful button for bringing down the notifications shade. Both support split-screen multitasking. 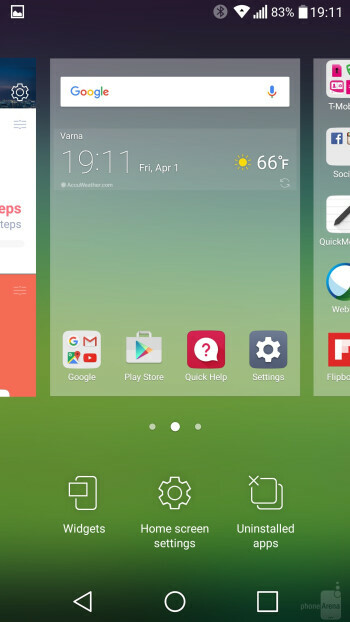 Both let you modify the size and layout of the on-screen keyboard. And the list goes on. 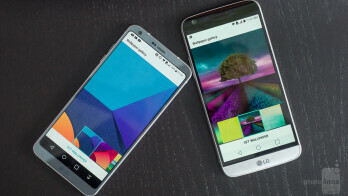 I can’t deny the fact that the LG G6, being the newer model and all, feels more polished when it comes to software, but the differences aren’t all that striking. You’ll find it better than the G5 at side-by-side multitasking, but the entire scope of this feature still feels limited. 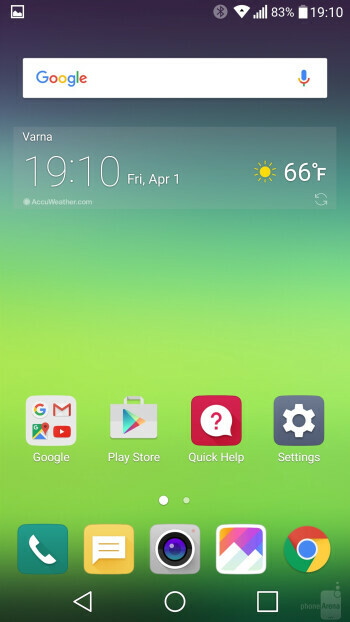 The G6 also comes with a prettier weather app, but as the G5, it does not include hourly forecast for some reason. 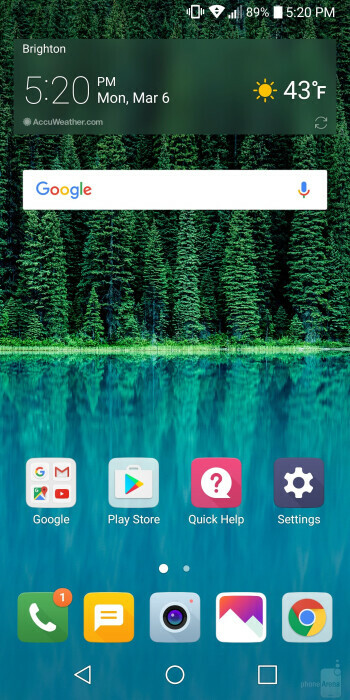 And while the G6 has an advanced search bar for searching within installed apps (pull down on your home screen to access that), I rarely find myself actually needing to use this feature. 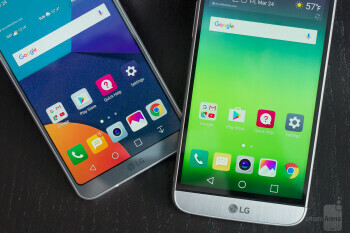 When it comes to hardware, the only difference you’ll find between the LG G6 and G5 is the main system chip – the former is equipped with a Snapdragon 821, while the latter runs on a Snapdragon 820. Both are chips from last year, with the 821 being slightly faster and more optimized when it comes to power efficiency. LG also points out that a heat-pipe-based cooling system inside the G6 is in place to improve performance under heavy load, but I doubt that the G5, being a metal-made device, would struggle with heat dissipation. Real-life performance is great with both phones, and I’d call them equally fast while performing every-day tasks. But you should be getting slightly better framerates with the G6 while playing heavier games. In terms of memory and storage, both handsets come with 4GB of RAM and 32GB for your files (the 64GB G6 will not be available in the US). 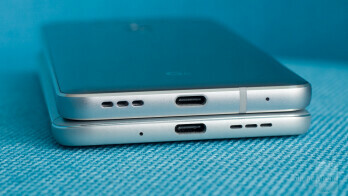 Both phones support microSD storage expansion for those demanding extra gigs. I’m still trying to resist the temptation of making jokes about how both phones’ cameras look startled. Anyway, onto comparing them. The G6 comes with two 13MP main cameras – one that takes regular photos and one with a wide-angle lens for fitting more into the frame. The G5 has a similar camera setup, but instead relies on a 16MP main sensor and an 8MP one for its secondary wide-angle cam. 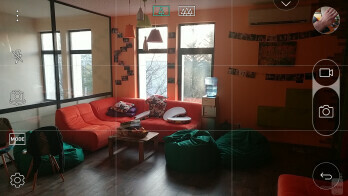 The camera apps on both phones look similar, to no surprise, but are not identical. 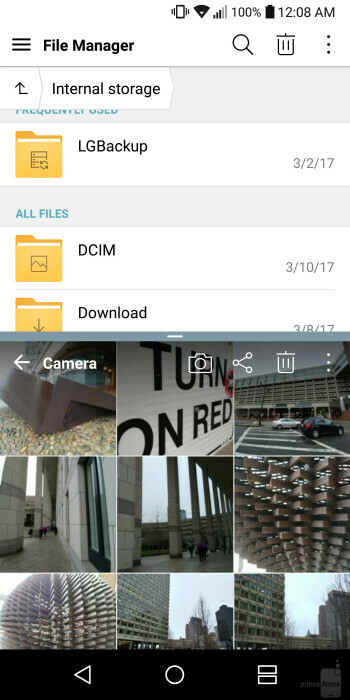 On the G6, an extra strip at the side shows a quick preview of your five recently taken images. 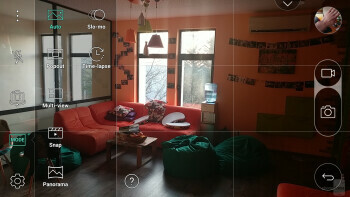 The phone also comes with a richer settings menu, adding extras like object tracking focus. And for camera enthusiasts, the G6 provides full manual controls for both photos and video. The G5 provides a manual mode for photos only. So, what do images actually look like when compared? I know this might come as a surprise, but the LG G5 actually beats the G6 when it comes to overall image clarity. Zooming in on the G5’s images reveals plentiful details, while on the G6, these are artificially boosted by introducing sharpness in post-processing. Now, I’m not saying that the G6 can’t produce great photos. It is definitely capable of great photography, be it during the day or in low light, but I’m leaning towards liking the G5’s photos slightly better. At this point I should reiterate that the G6 I’m using isn’t running retail software, so I’ll edit this portion of my comparison at a later time if a retail unit performs any better. 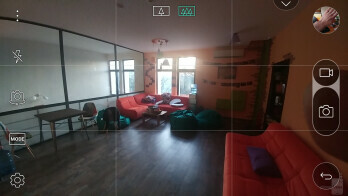 Wide-angle photos are of comparable quality, although you should be able to squeeze more detail out of the G6’s wide photos. In any case, do keep in mind that both phones’ wide-angle cameras lack optical image stabilization, so shaky hands could ruin the image. Also, they don’t perform as well as the main cameras in low-light situations due to their narrower apertures. When it comes to taking selfies, I’d say that the G6 has the upper hand. Both phones capture regular self-portraits of similar quality, but the G6 has an extra-wide lens mode, which comes in handy when you need to fit a lot of people in a single shot. 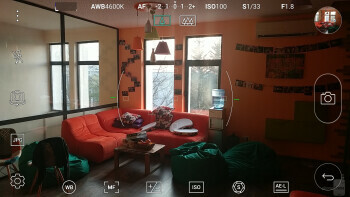 Both smartphones take video at up to 4K, which is great news, and the footage appears equally detailed at that resolution setting. But the G6 does seem to produce video that is slightly more vivid. Compression artifacts can be seen in video out of both phones, but it’s not that big of a deal. Wide-angle videos out of the G6 look definitely smoother - with less noise and none of that stuttering when switching between cameras while shooting. Back in the display section of this comparison, I mentioned that the LG G6 has an HDR-capable display – something that the G5 lacks. This means that you can enjoy HDR videos encoded in HDR10 or DolbyVision format. Amazon Video has such content available to subscribers, and it looks impressive. With HDR video gaining popularity, this is definitely a nice feature to have. What about audio quality? Well, both phones have single bottom-firing loudspeakers producing loud and clear sound, without crackling at the highest volume setting. Yet the G5 definitely sounds better to my ear, having a bit more depth in the lower end of the spectrum. 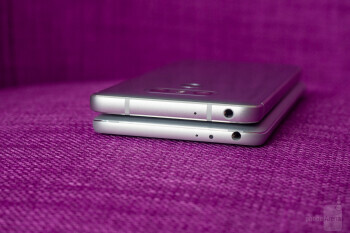 Both phones have standard audio jacks, in case you’re wondering. Speaking of audio, the Korean version of the LG G6 has the much-touted Quad DAC, just like the LG V20. Long story short, it is a higher quality audio chip technically capable of producing better sound and driving high-impedance earphones. But the US version uses a standard DAC chip, just like the G5. Yes, you can add a higher-quality B&O audio module to the G5, but this accessory is not available in the US, not to mention that installing it will render a G5 protective case useless. Inside the G6 we find a 3,300mAh battery – one that is 18% bigger than the 2,800mAh cell inside the G5. When used as a daily driver, the G6 lasts a day to a day and a half per charge, depending on how it is used, but again, the unit I have is not quite final so the battery life situation could be better on a retail phone. In any case, the G6 is highly likely to outlast the G5 in terms of battery life, seeing that the latter only achieved an average score on our custom battery test. That both phones support quick charging is definitely good news. The feature is convenient for those cases when you get out of bed and realize that you forgot to plug your phone the night before. There are two highly probable reasons why you might be reading these lines right now. 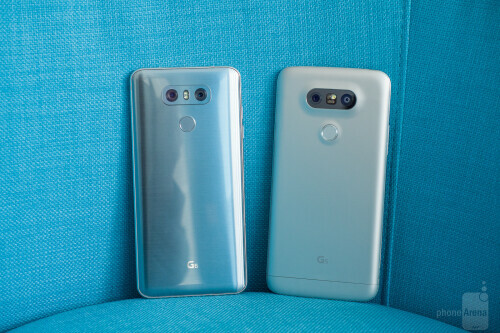 One: you’re torn between the LG G6 and the LG G5, and two: you’re already a G5 owner who’s wondering whether upgrading is worth it. 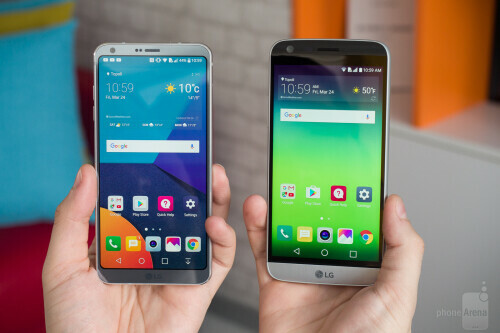 If you belong to the former camp and your budget isn’t tight, going for the LG G6 is a no-brainer. The phone is superior to its predecessor in many ways, so it’s unlikely that you’ll end up disappointed. But don’t take out your credit card before considering the G5, which has dropped in price significantly since its debut. Online it can be found for less than $400, making it at least $250 cheaper than a G6, depending on which carrier’s service you prefer. For that amount of cash you get a well-performing, up-to-date smartphone with decent hardware specs and a very capable camera at the back. 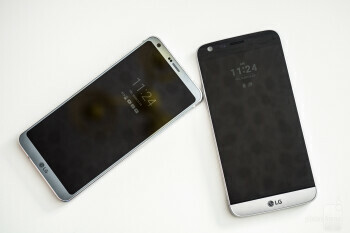 And if you’re already a G5 owner, upgrading to the LG G6 will net you a larger, better screen without any changes in overall phone size. Plus, there’s the added peace of mind of having a waterproof device. 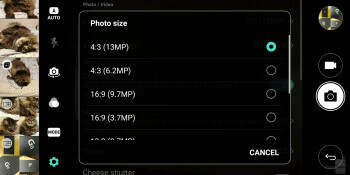 Just don’t expect the camera performance and battery life to be significantly better.